British WWII Era Players Cigarette Tin "Digger"
Item #44582 : Original era manufacture. 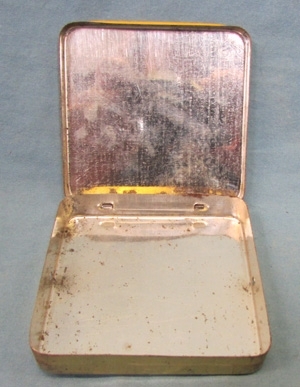 Metal cigarette tin with a lithographed lid, measures 3 x 3 x .5 inches, no damage beyond normal age and wear. 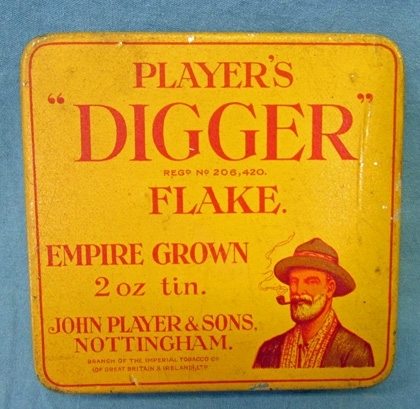 Photos of Antique Toys, Cannons, Soldiers, Etc British WWII Era Players Cigarette Tin "Digger"